The actual name of the Miami Sea Port is the Dante B. Fascell Port of Miami which is a popular seaport situated in the Biscayne Bay which is in Miami in Florida in USA. 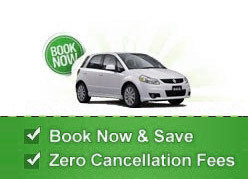 Car rental with us means top rental service from some of the most reputed suppliers around the world. This sea port is well linked to Downtown Miami through the Port Boulevard. This Boulevard is the bridge present over the famous Intracoastal Waterway. It is situated on Dodge Island. This island is known to be having the combination of about 3 historic islands that are the Dodge, Sam's Island and Lummus. You can easily see this sea port from the Miami Beach which looks stunning. It is also termed as one of the busiest container ports of this country. As Miami is nearby this sea port so you can easily admire the beautiful and must visit Zoo Miami which is perfect for kids. Then it is good to explore the Seaquarium too. You need to have our car hire services so that you can have best time spent at the Everglades, Miami Museum of Science and more. Car rental deals for Miami Sea Port starts at RUB 542.